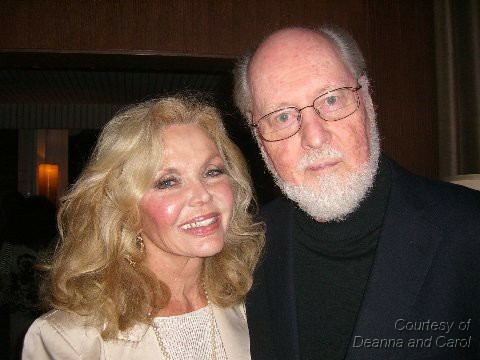 Deanna Lund recently met up with composer John Williams at a party for the new movie Lincoln for which John has composed the music. Nearly half a century ago, John Williams composed themes for several Irwin Allen productions including Land of the Giants. Deanna and Carol have kindly sent this beautiful photograph for us to share with you. Poseidon Adventure CD already sold out! We have noticed today that the limited edition (3000 copies) Poseidon Adventure CD is already sold out at La-La Land Records. A lot of them have probably been bought up by dealers planning to resell them on, so you may still find them available elsewhere. Worth comparing prices though as we’ve seen some being sold for over 3 times the original price. First time entire score is presented in STEREO! 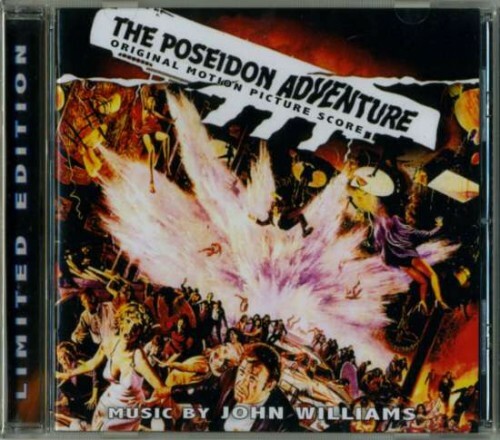 Presenting the premiere stereo release of John Williams’ (JAWS, STAR WARS, RAIDERS OF THE LOST ARK, SCHINDLER’S LIST) classic score to the legendary 1972 Twentieth Century Fox adventure film THE POSEIDON ADVENTURE, starring Gene Hackman, Ernest Borgnine, Shelly Winters and Red Buttons, produced by Irwin Allen and directed by Ronald Neame. Williams’ epic orchestral score expertly intertwines the film’s examination of heroism and tragedy. Produced by Nick Redman and Mike Matessino, mastered by Daniel Hersch, and remixed and sequenced by Mike Matessino, this superb-sounding special limited edition release features never-before-released Bonus Tracks, including the film versions of “The Morning After”, source cues and alternate versions of the main title. In-depth liner notes by Jeff Bond take you behind the scenes of the film and its music. This is a limited edition of 3000 Units. For this release, the 2″ 24-track tape containing the original 35mm 6-track mag was transferred into Pro Tools, and restored and mixed with the advantages of another decade’s advance in sound processing technology. The BBC series Around the World in Eighty Days featured 6 pairs of British celebrities including John Barrowman (Captain Jack in Dr. Who and Torchwood) doing a relay trip around the world, by any form of transport other than flying. This challenge was in aid of the annual Children in Need charity. So, we were sitting watching the final segment with two celebrities taking a cargo ship across the Atlantic back to England. And lo and behold, which theme gets played during the ocean voyage… yes, you guessed it, the Voyage to the Bottom of the Sea theme. If you would like to donate to the Children in Need charity, please visit the BBC web site link below.